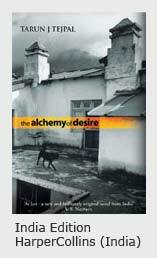 The Alchemy of Desire is anything but safe. One of its most soaring notes is its exploration of passion... The novel details intimate relationships with few missteps, without reducing them to voyeuristic fodder. The passion in the novel is deeply organic to the characters and the narrative. 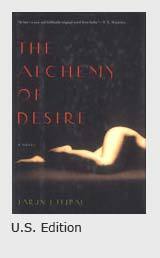 As an attempt to compel readers to look at desire without the crippling impulse of shame and hypocrisy, it works beautifully. 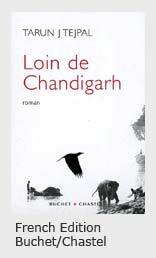 In many ways, the novel is like the man himself: gritty, unrestrained yet bound by a personal code of honour. "It’s rich sexuality lifts this work way, way above the ordinary. 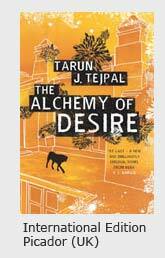 Rare is the Indian writer in English who has ventured thus far with the language, force, imagery and originality...Tejpal is audacious as would be those who venture to assault the Himalayas...there are echoes of Nabokov, shades of Henry Miller and Philip Roth; and, influences of Rushdie and Jim Corbett. None of which diminish the originality of a novel that is, paradoxically, as exciting as it is a pleasure."